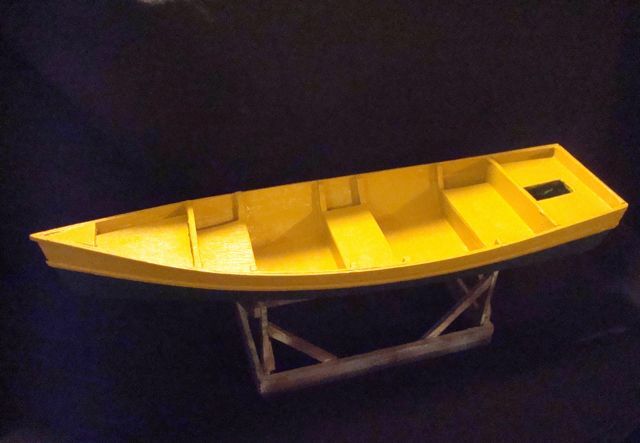 I’m charmed today that Edward Powers has sent me these photos of his model of the Low-power skiff I’ve been designing for a friend, and which I have written about here at intheboatshed.net. Thanks Edward! 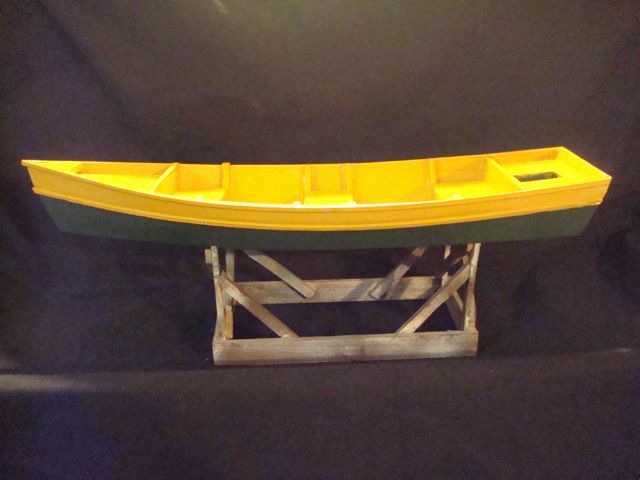 I’m grateful for the photos of his smart model boat, and for the reminder that there are people out there who would like me to finish the drawings – I will, just as soon as I’m confident I’ve drawn an outboard well that won’t cause any problems. 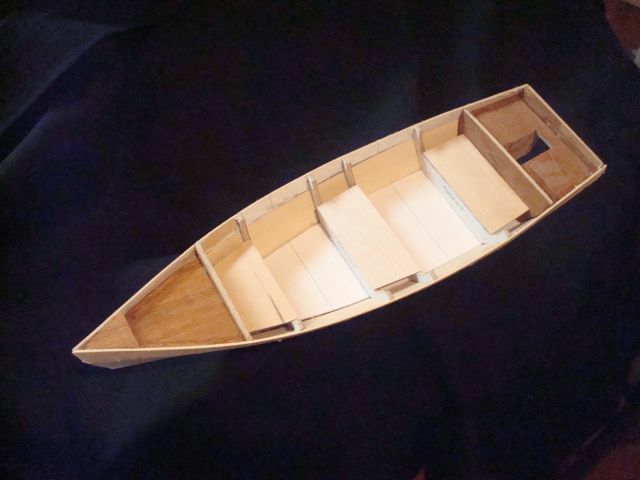 For more on the Low-power skiff, including initial sketches and a download for making a model, click here. Previous Previous post: If the Bold Princess has sea-room, brave boys never fear!